InstaCasino is one of those casinos that has gotten on the wagon of unbeatable offers. This fall, the theme is all about bonuses and free spins, exactly what the players love, and you’ll get to enjoy the promos that will have you smiling all the way to the bank. From the look of it, they have your back whether you are new to the family or are a veteran. For newbies, InstaCasino has a fantastic offer just for you you, and perhaps this is their special way of saying welcome to the family. A minimum deposit of £10 automatically earns you 25 RealSpins on Spinions. Afterwards, you will receive a code named INSTA and expect to receive a 100% bonus and 25 more Realspins. Yes, its that simple and that good. You are a winner the minute you join InstaCasino. Another offer you cannot afford to miss is the unlimited bonus running all through Tuesdays from 00:01 CET – 23:59 CET. With this offer you get a one of a kind opportunity to make 25% extra on every deposit you make on Tuesdays for a minimum of only £10. All you have to do after making the deposit is use the code UNLIMITED, and you can rest easy as you watch that 25% extra cash hit your account. There’s also a Sunday Funday offer. Start your week with a blast with this amazing offer designed to ensure that you not only start your week happier but richer. With this exclusive offer, a minimum of £40 on a Sunday, gets you 100 RealSpins on any one of the games offered by InstaCasino. Yes, you saw that right, 100 spins on ANY of the games. 100 RealSpins is equivalent to 100 real chances for you to win big. You don’t even have to grab your PC, you can play from your mobile or tablet. Totally convenient and a solid reason on why you need to get in on the promo. That’s not all, InstaCasino has another offer coming your way this September. 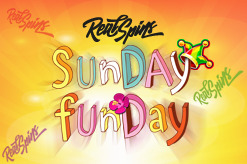 If you’ve missed out on the Sunday Funday offer, you can still catch the RealSpins Rampage. Another offer guaranteed to ensure you win big time every weekend. Here, you’ll be rewarded with 10 spins to each of the first 500 players to open the game of the day on the weekends. You could be among the 500, all you need to do is simply work on your speed to start the game. Easy peasy. The game of the day will be on the casino’s homepage. The good news is if you miss out on Saturday, you can always try again on Sunday. Just remember that on the welcome and the unlimited bonuses have to be wagered 45 times before they are withdrawn. On the Sunday Funday offer however, there are no additional wagering requirements on the winnings. On the Real Spins Rampage only a maximum of 1000 players can be rewarded with RealSpins per weekend and it all comes up to speed. So if you miss out on one weekend, try again, and this time faster.